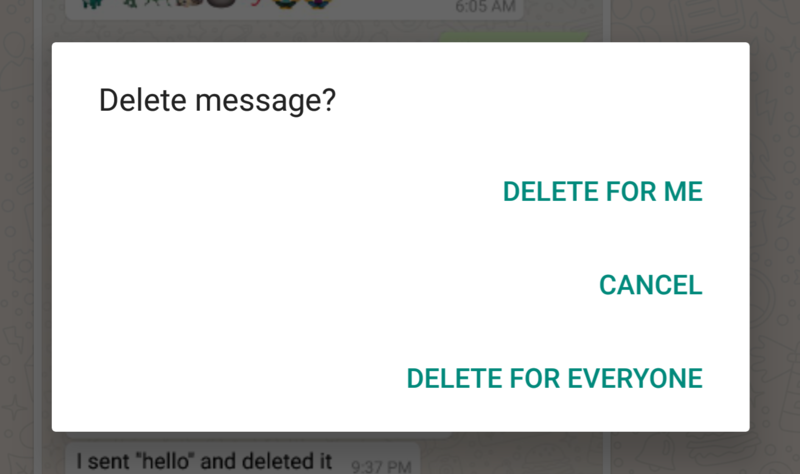 Message recalls have been rumored on WhatsApp for months now and every couple of weeks, we got a glimpse of the functionality in a beta version but it was always a false alert and never properly worked. Now the option appears to be going live, with a slow rollout to more and more users. Message deletion for all, i.e. message recalls, lets you remove a message you sent from a conversation and it won't just disappear from your end, it'll also go away on the recipient(s)'s phone.